Bressingham Steam Museum’s 10.25” gauge locomotive “Alan Bloom” has been fully overhauled by staff and volunteers during the winter season. The Norfolk museum which boasts four different railway gauges plus a number of steam road vehicles and stationary engines, has dedicated a significant amount of winter maintenance to the diminutive locomotive based upon a quarry Hunslet and included a repaint to a livery akin to a Great Eastern blue. 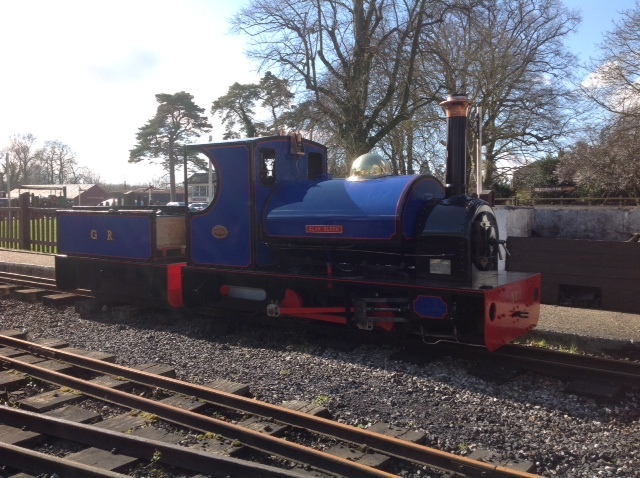 The locomotive, which was built in 1995 at Bressingham, operates for more than 150 days a year on the steeply graded ½ mile Garden Railway and is the only source of motive power on the line. As such it is one of the hardest working small engines in East Anglia. Bressingham Steam Museum’s main open season runs from 1st April to the end of October. This entry was posted in News on 17th March 2014 by Tim Bridge.